Q: During inbound, defense B1 slapped the ball while it was in the hands of inbounder A1. The ref blew the whistle and had A1 throw it in again. Was it suppose to be called a technical foul? 17-1 Statement. Before the player taking the throw-in has released the ball on a throw-in, it is possible that the throwing-in motion could cause that player’s hand(s) with the ball to break the plane of the boundary line separating the inbounds area from the out-of-bounds area. In such situations, it continues to be the responsibility of the defensive player to avoid interfering with the throw-in by contacting the ball while it is still in the hands of the player taking the throw-in. 17-2 Example: With 4:37 remaining on the game clock in the third period, A1 is awarded a throw-in. While holding the ball: (a) A1’s hand(s) crosses the plane of the boundary line so that the ball is above the inbounds area. B1 grabs the ball that is in A1’s hand(s) or taps the ball out of A1’s hand(s) without causing any physical contact against A1. (b) B1 moves his hands over the boundary line towards A1 to stop his pass to A2 on the playing court. Interpretation: In both cases, B1 has interfered with the throw-in, therefore delaying the game. The official calls a violation. In addition, a verbal warning shall be given to B1 and communicated to coach B. This warning shall apply to all team B players for the remainder of the game. Any repetition of a similar action by any team B player may result in a technical foul. 36-1 Statement. 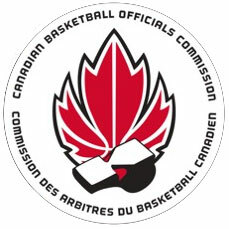 An official warning is given to a player for an action or behaviour which, if repeated, may lead to a technical foul. That warning shall also be communicated to the coach of that team and shall apply to any member of that team for any similar actions for the remainder of the game. An official warning shall be given only when the ball becomes dead and the game clock is stopped. 36-2 Example: Team A member is given a warning for: (a) Interfering with throw-in. (b) His behaviour. (c) Any other action which, if repeated, may lead to a technical foul. Interpretation: The warning shall be communicated also to coach A and shall apply to all team A members, for similar actions, for the remainder of the game.